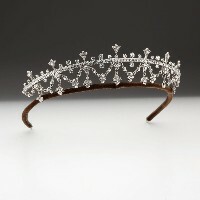 Bridal tiaras and crowns "Be the Princess at your wedding"
Tiaras worn by women over the centuries simply mark women of beauty and a symbol of elegance. 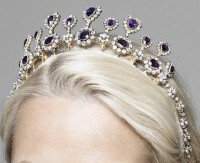 From Queen Elizabeth to Princess Diana wore the tiaras to mark their bold and wise presence. 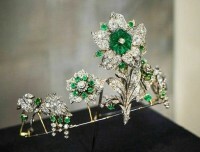 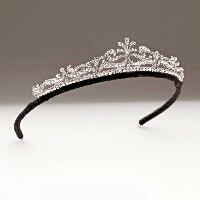 Tiaras symbolizes a lot and tell you the Woman who you are. 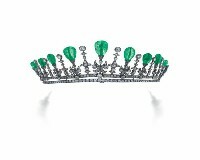 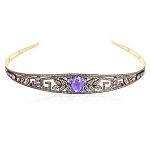 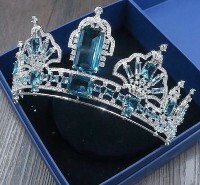 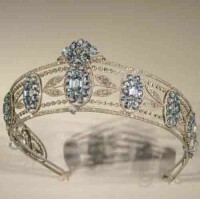 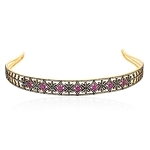 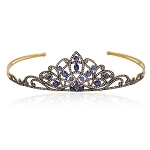 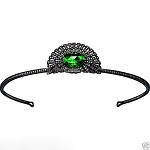 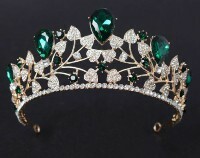 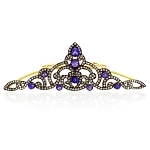 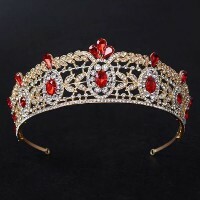 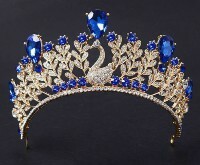 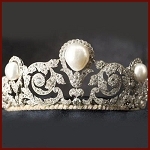 You are probably unaware of the stories of queen tiara and princess tiara and the valuable types and styles like The Russian Kalashnikov Tiara, Spencer Tiara, The Cambridge Lovers’ Knot Tiara, The Burmese Ruby Tiara, every tiara have their own unique stories. 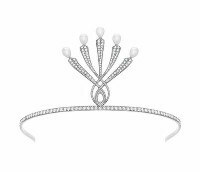 Jewels Queen is dedicated to continue this royal tradition and offer stunning range of diamond headpiece and diamond hair accessories. 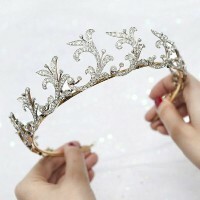 After all it takes something to take a rare Title. 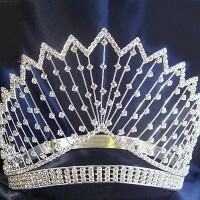 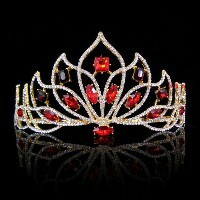 If you say ‘I am the best and I am confident’, tiaras are the right one to speak for you. 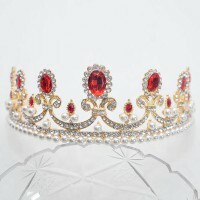 Forget not, walking like a queen on the red carpet in the beauty pageant or in your wedding day or the glittering prom night it needs a lot of courage. 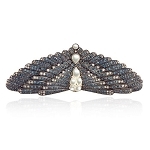 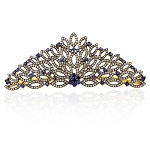 With the precious attitude ‘I AM ME’, Jewels Queen offer a collection of diamond tiara of the Vintage jewelry collection so dramatic, esoteric and wonderful. 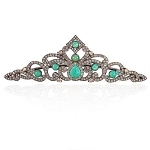 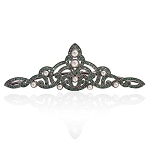 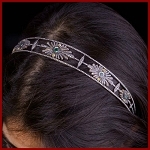 Our exclusive range of silver tiara is part of the antique jewelry that represents the opulent culture of the Victorian period; Dramatic look is what you like, Queen Jewels’ gold diamond tiara feature embroidered detailing and elegance. 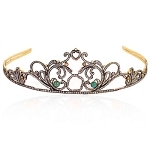 Find the fabulous range of delightfully designed gold tiara and sterling silver tiara can be worn for weddings of any special occasion. 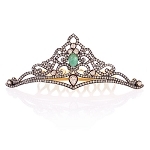 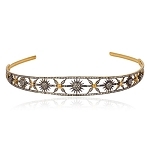 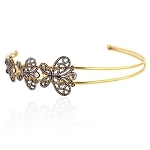 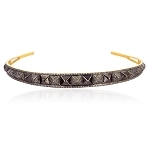 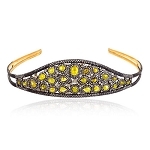 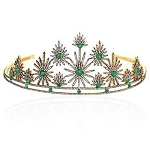 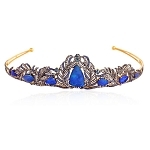 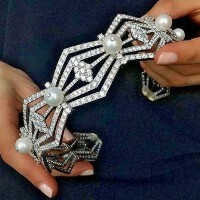 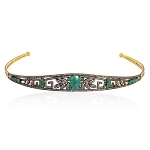 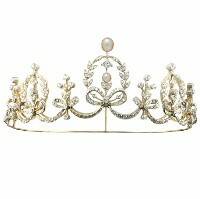 Every Jewels Queen accessory is meticulously designed and is aware of the trends. 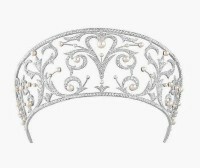 Inspired by the ‘diamonds are forever’ and the fairy tale events, take a look at our scintillating bridal jewelry collection including bridal tiaras and bridal headbands available in sterling silver and gold. 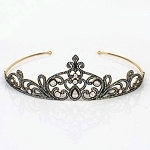 Flaunt in with whether a silver or gold wedding tiara, choose the best wedding tiara at an affordable price because you worth it. 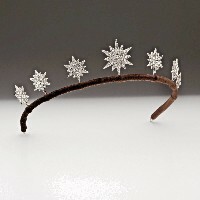 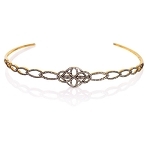 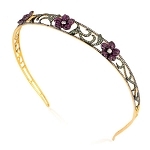 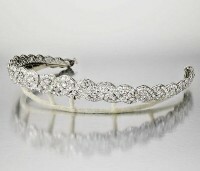 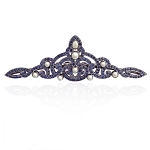 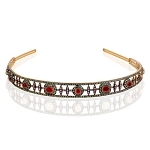 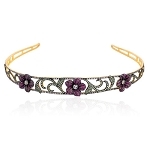 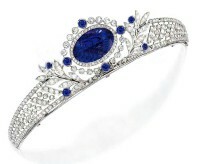 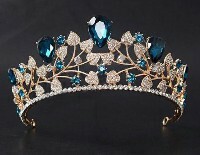 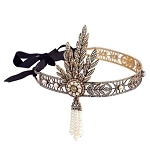 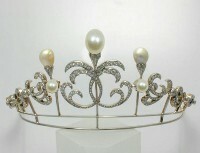 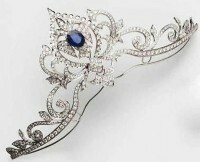 We have bridal headbands in diamonds & gemstones, Crowns and Tiaras, bridal tiaras all for sale. 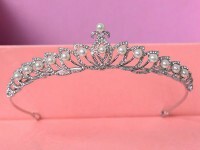 If you have any specific Crowns and Tiaras in mind which is not in our stock, then do contact us for us to make the special tiara for you. 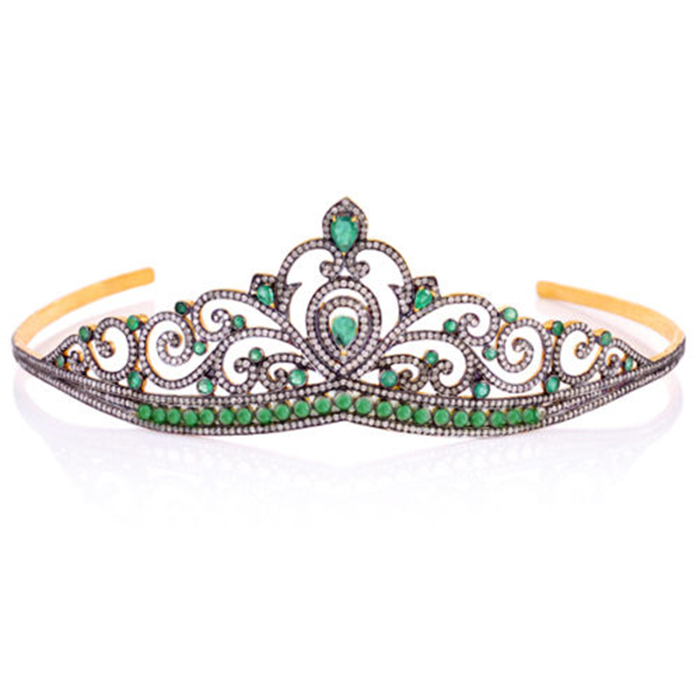 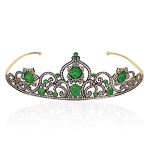 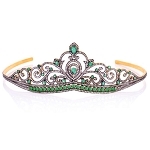 Ranging from rose cut diamond tiaras to gemstone embedded tiaras brilliantly cut, tout the day wearing something flawlessly beautiful with emerald tiaras and ruby tiaras and multicolored gem tiaras. 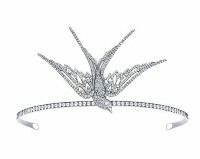 We always try to make you the prettiest lady on earth by manufacturing tiaras that are authentic and sophisticated. 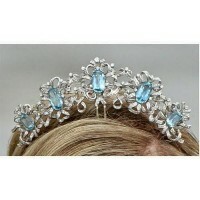 We offer tiaras for sale that are basically handmade tiaras from 2 to 30 carats are flexible and comfortable. 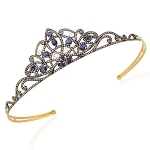 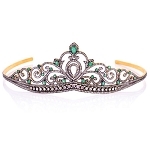 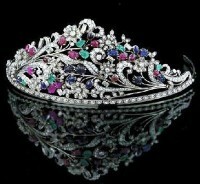 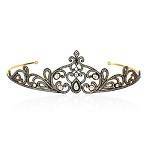 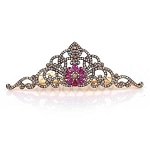 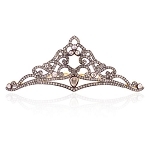 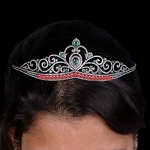 We also have range of princess tiara crown & wedding tiaras. 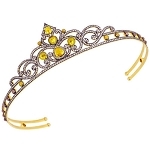 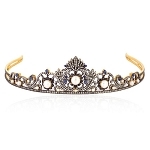 We have gold tiara crown which though discounted are exotic and good for bridal headpiece. 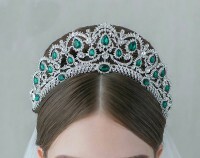 Oval Face: If you have oval face, wear tiaras of any style except the one that has peaks at the center that will make your face unnecessary long. 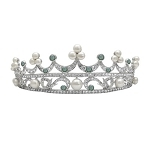 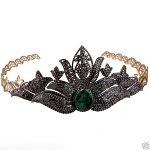 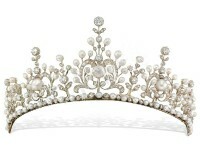 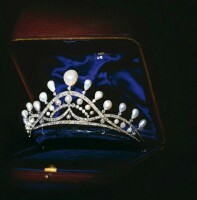 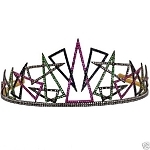 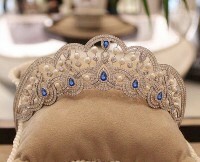 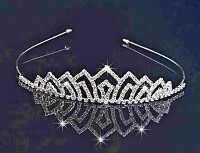 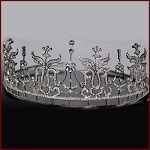 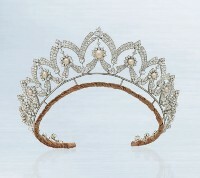 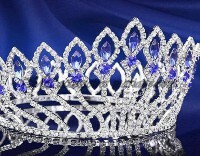 Round Face: Tiara with a peak at the center is very much appropriate for your sweet plump/round face. 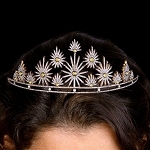 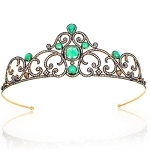 Long Face: No height tiaras that extend evenly across your head can be an ideal tiara for long faced tiara. 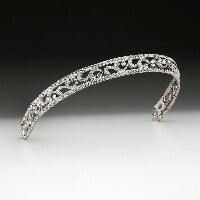 Heart Shaped Face: Nothing can be so matchless except the V-shaped peak that will create an illusion of a longer face. 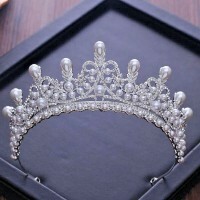 Come enjoy a different experience at Jewels Queen when buying any style, any type of tiaras because you will be given unlimited choice here.